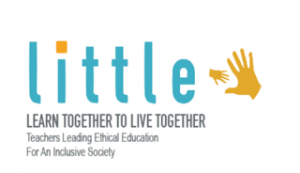 LITTLE is coordinated by the Irish independent NGO EDUCATE TOGETHER that runs schools that guarantee equality of access and esteem to children irrespective of their social, cultural or religious background. LITTLE also involves three European partners, the University of Ljubljana (Slovenia), Petit Philosophy (Croatia) and STEPS (Italy). It will run over three years and includes the design of a high-quality online interactive course for teachers as well as the development of good practice guides for teachers in Ethical Education.